Welcome to Abiquiu, New Mexico. 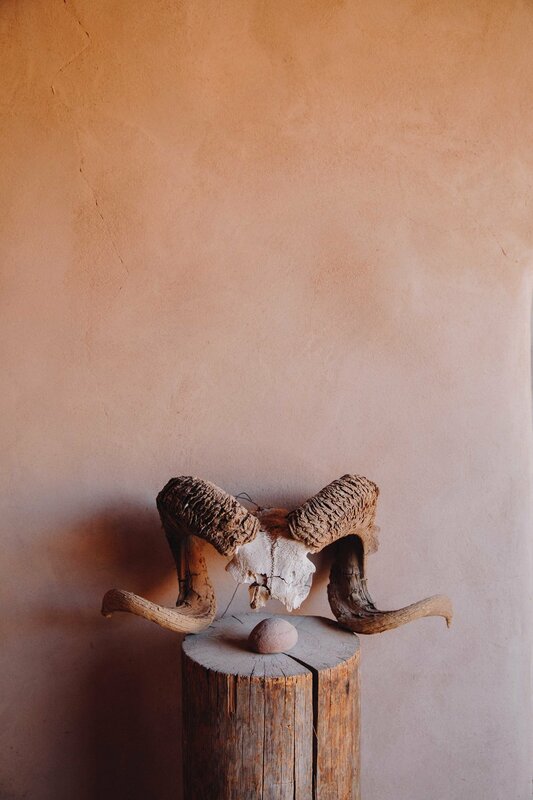 I've been dying to visit Abiquiu, as I am a major fan of Georgia O'Keeffe and artist Stella Maria Baer. Both have spent their time in this part of New Mexico and their art works are some of my favorite I've ever seen. One of the most inspiring places I have ever been is Georgia O'Keeffe's home and studio. You have to take a tour in order to see it (cost: $45). 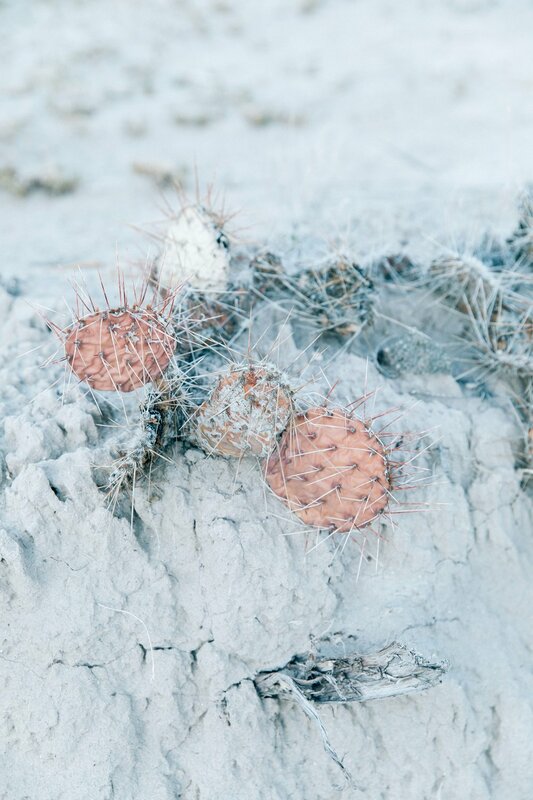 If you're a lover of Georgia and minimalist adobe living, then you have to take this tour. You aren't allowed to take any pictures of the inside of the homes, but the exterior was just as stunning. I honestly couldn't stop staring at these exteriors and interiors. Her attention to detail yet minimally intentional living is an inspiration to me. 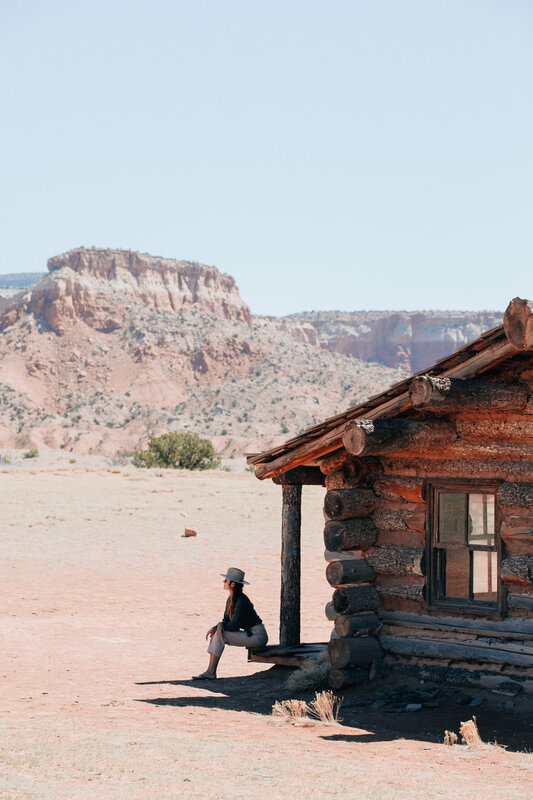 Just down the road is Ghost Ranch, a 21K acre retreat and education center. Georgia O'Keeffe had another studio here. The ranch has been in plenty of movies with this abandoned cabin that was left from the set of City Slickers. 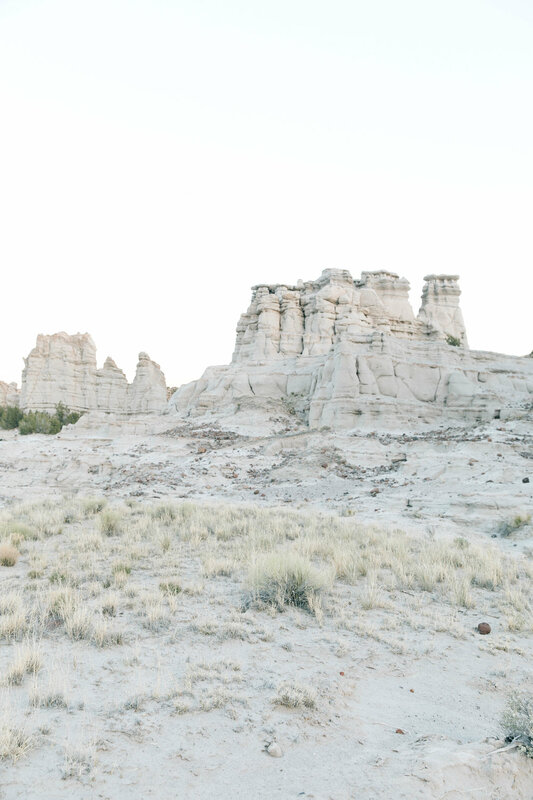 We wanted to catch sunset at the "White Place" in Abiquiu and had about 3 hours to spend before. 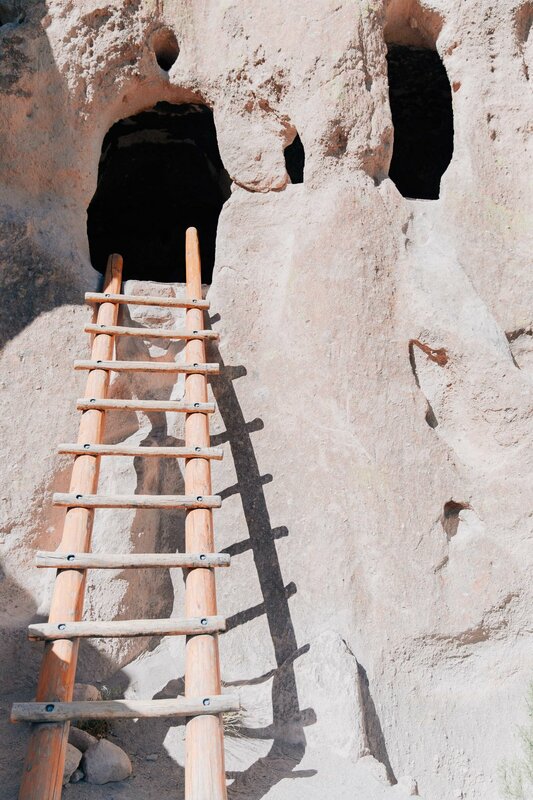 We hoped in the car and made it down to Bandelier National Park. The ancient puebloians that lived here made their homes on the side of the cliffs. You can walk in and out of them through ladders. I seriously wish I could have seen how this pueblo looked when it was at it's prime. We caught sunset at "White Place" and it was as magical as it gets. Abiquiu is such a special corner of New Mexico. I can see why this is a place of creativity for artists, video makers, dreamers, and creators.